Political Junkie: The Impact of the Iraq Reports Lawmakers are considering how recent progress reports from Iraq will affect war policy. 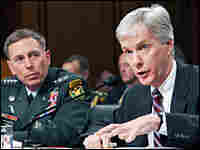 Has testimony from Gen. Petraeus and Ambassador Crocker changed opinions in Congress? In this edition of the Political Junkie, guests and callers discuss the prospects of new political strategies for the war. 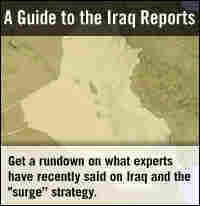 Did the recent reports change your opinions about Iraq? Talk about it on "Blog of the Nation"
Lawmakers are considering how recent progress reports from Iraq will affect war policy. 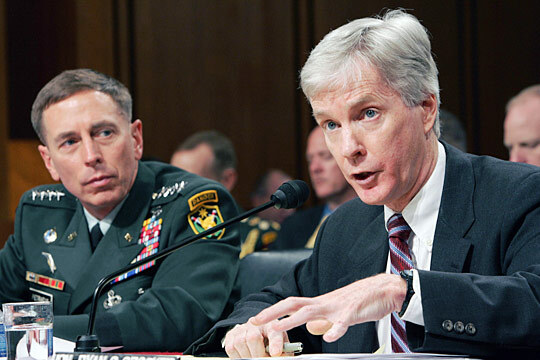 Has testimony from Gen. Petraeus and Ambassador Crocker changed opinions in Congress? In this edition of the Political Junkie, guests and callers discuss the prospects of new political strategies for the war.